Maitripa College’s Classical Tibetan Language Summer Intensive is among the world’s leading intensive literary Tibetan programs, providing students with a complete introduction to the classical Tibetan language. The course is led by professor Bill Magee, PhD, well-known teacher, translator, and author. Bill’s approach to language learning features a critical presentation of Tibetan grammar and syntax adapted from Joe Wilson’s Translating Buddhism from Tibetan. Greater proficiency is achieved in a short time through the study and practice of Tibetan monastic debates, both from original texts and on Maitripa College’s custom-made debate software. Summer readings include texts on valid cognition and reasoning, minds and mental factors, and the nature of reality. Class focuses first on Je Tsongkhapa’s verse and prose, then on equally influential authors important to the Jonang and Nyingma lineages, from the 13th to the 20th centuries. The content of this unique course cannot be found elsewhere in the United States. Dr. Magee teaches classical Tibetan using the traditional educational modes of a Tibetan Buddhist monastic college. Students learn the language through reading and debating their textbooks; the very same textbooks studied in the great monastic colleges of Tibet. The students approach their readings as a way to improve both their language skills and their logical abilities. It is an amazingly effective teaching method which, Bill points out, is why the Tibetans employed it. 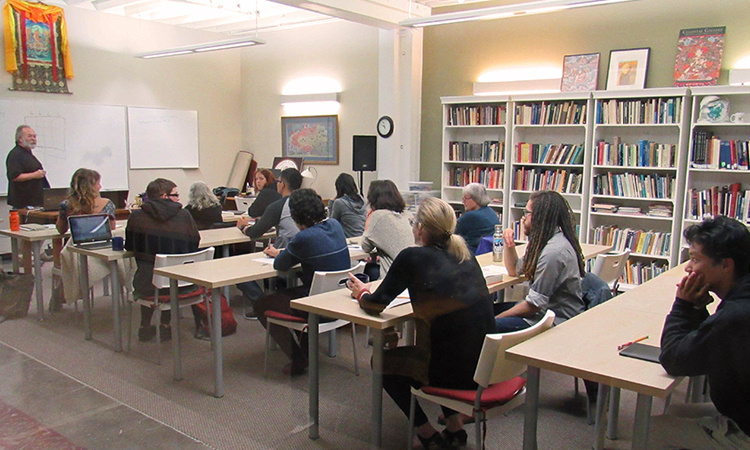 SANSKRIT CLUB: Beginning in the spring of 2019, Dr. Magee offers an innovative Sanskrit club one hour per week for interested students. Since Sanskrit is the basis for Tibetan grammar and the original language of most Buddhist texts, even a gentle introduction such as this club provides can provide deep insight into how Tibetan language and religion relate to Indian sources. 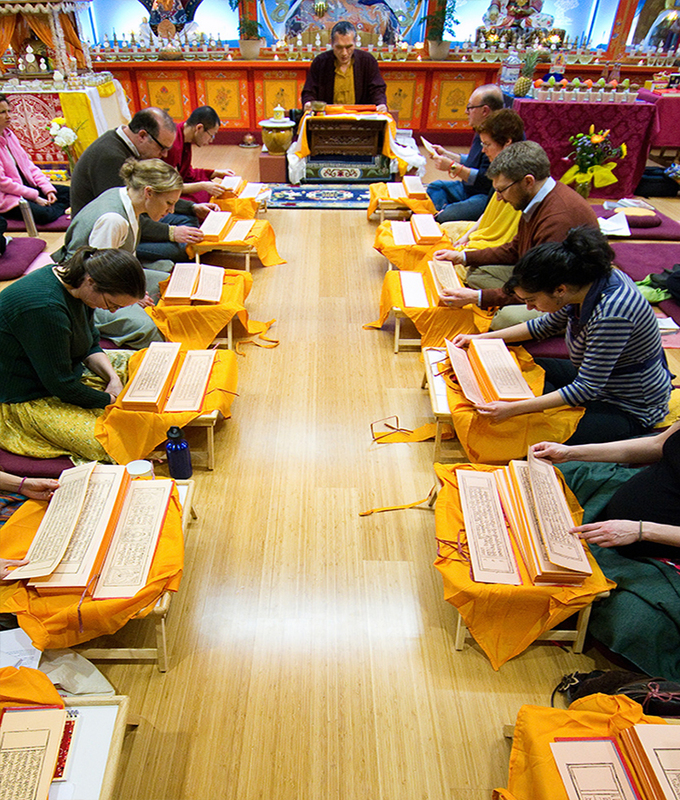 The Sanskrit club is free and entirely optional, and participation in such will not affect Tibetan language classes at Maitripa. Classical Tibetan (as opposed to colloquial Tibetan, the spoken language) is primarily textual. Its script and grammar were developed and standardized beginning in the 7th century in order to facilitate translation of the Indian Buddhist corpus. Since many Sanskrit Buddhist texts were lost during medieval invasions of India, their Tibetan translations are surviving repositories—often all that is left—of the irreplaceable teachings of the great Indian masters. Moreover, Tibetans went on to create a vast commentarial literature of their own. In this course, the focus is on Tibetan as written by Tibetan and Mongolian Buddhist monks in and around the 15th century. Why Study the Classical Tibetan Language? To study Tibetan is to study Buddhism. 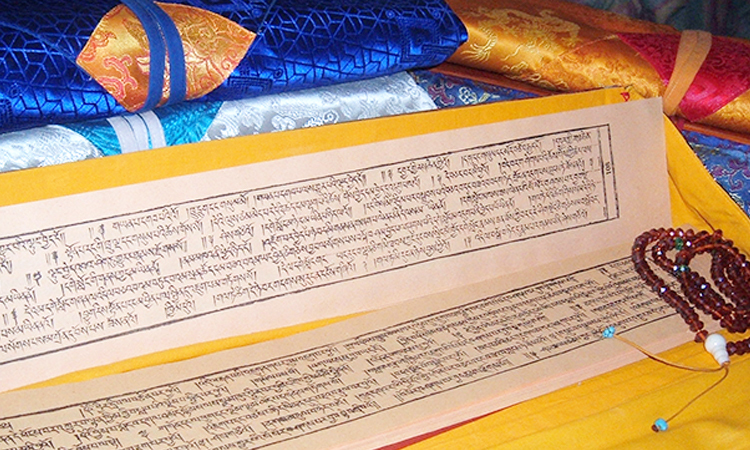 Knowledge of Tibetan allows students to understand the original meanings of texts, prayers, rituals, and meditations at a depth inaccessible to those with no understanding of the language. When a person becomes their own translator, their point of view opens; their viewpoint expands. José Cabezón, PhD (XIVth Dalai Lama Professor of Tibetan Buddhism at the University of California, Santa Barbara and founding board member of Maitripa College), says studying Tibetan language at the textual level is one of the best ways to learn the practice and philosophy of Tibetan Buddhism: “A text reading class is one of the few opportunities that students have to really engage with Tibetan literature in a serious and careful fashion.” Tibetan language studies are foundational for the student and scholar preparing for graduate work or research. Learning Tibetan language opens access to the entirety of Tibetan studies from philosophy and ritual to medicine, literature, history, and culture. Students are instilled with an understanding of the high regard with which Tibetan Buddhists venerate texts as the words of the Buddha and lineages of scholar-practitioners, and the immense efforts that have gone in to the salvage, preservation, and translation of these works. President Yangsi Rinpoche’s vision for the Tibetan language program at Maitripa College is to establish a translation group that will publish works from the Nalanda tradition which have not yet been translated into any western language. Maitripa College President Yangsi Rinpoche leads Tibetan language students in the “Opening of the Kangyur” – a reading from each of the Buddhist sutras in the corpus of teachings called the “Kangyur” – during the Maitripa College Monlam (Great Prayer Festival). 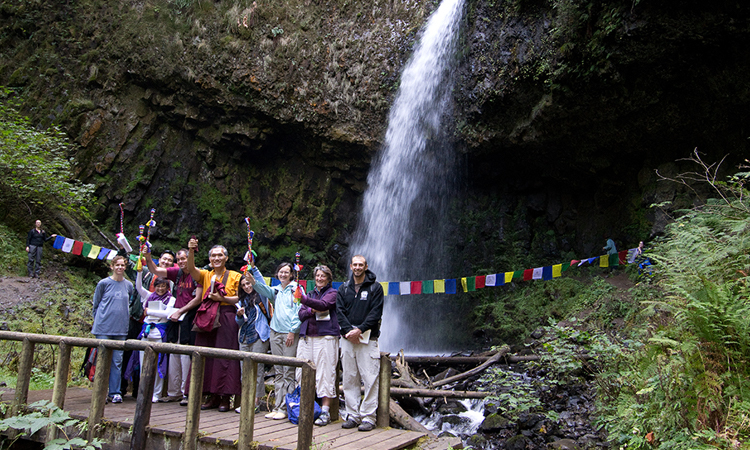 Join us for the Classical Tibetan Intensive and spend part of your summer with a fun, challenging, and supportive community in the magnificent pacific northwest!